In 2013, the Pink Singers will be 30 years old. As Europe’s oldest LGBT community choir, our group has evolved against a backdrop of three decades of political and social change. We are celebrating our 30th birthday by commissioning a new piece of music from renowned contemporary composer Richard Thomas (Jerry Springer the Opera; Shoes) and by organising a day of workshops in Summer 2013 for LGBT choirs and singers, culminating in a concert. We are absolutely delighted to announce that the BBC Performing Arts Fund are supporting us in our ambitions for our landmark birthday year with a £10,000 grant. 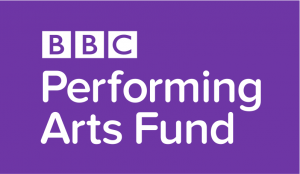 The BBC fund was set up in 2003 to support performance groups to take on more challenging projects through commissions, work collaboratively with other organisations and produce projects that bring them closer to their communities; we are very happy that this will enable us to plan these exciting 30th anniversary events. More announcements will follow about next year’s plans soon! Previous Previous post: Trick or retreat!